Are you an employer with a job or training opportunity and interested in meeting keen and motivated candidates? Or are you yourself looking to meet local employers with exciting opportunities and vacancies? Then look no further. Bucks Skills Hub’s Routes Into recruitment events are about bringing opportunity and talent together. Talent is everywhere, from students in education thinking about their first steps into work, to those looking to use their experience and skills in a new environment, to those looking for a complete change altogether. Routes Into Work brings together businesses from a range of sectors and people looking to start or progress their career, whether it be through an apprenticeship or traineeship, as a freelancer or those simply looking to get some work experience. Buckinghamshire Thames Valley Local Enterprise Partnership’s Skills Hub are holding a series of Routes Into recruitment events during March. These events take place during National Apprenticeship Week on March 5 – Routes Into Construction (Civil Engineering, Digital & Trades), March 7 – Routes Into Creative Industries (Film, TV & Games), and on March 8 – Routes Into Work. Employers with live vacancies including work experience, apprenticeship, traineeship, freelance, part and full time jobs will be invited to meet people looking for work or to gain experience. These events are aimed at people such as those still in education; parents returning to work after having children; ex service personnel; career transformers; and those looking to up-skill or for encore careers. 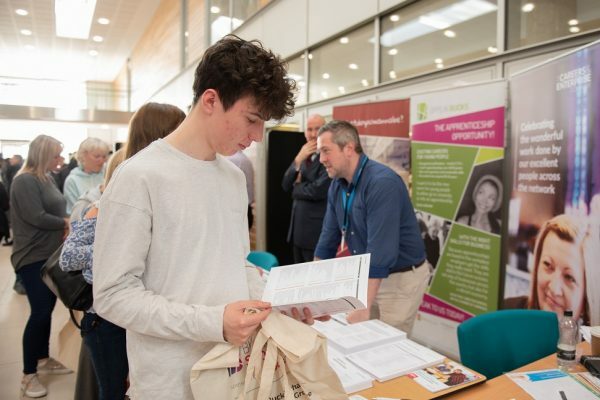 BTVLEP’s Skills Hub and its Enterprise Adviser Network (part of the Careers and Enterprise Company’s national network) supported 70,000 employer-student encounters in Bucks in 2017/18. Home to one of 20 pilot careers hubs in England, as part of the established Careers and Enterprise Company programme, Bucks Skills Hub are connecting schools and businesses with ‘offers’ and ‘asks’ via www.oppsinbucks.org and organising skills competitions in schools with employers including Bosch, East-West Rail and the National Film & Television School, and workplace visits to British Standards Institution and Emerson. Find out what life was like during Queen Victoria’s reign in this special exhibition for families and schools. Lots to touch, see and do. 6 April – 13 July 2019 Discover stunning examples of historical Samurai armour and weapons, from complete suits to beautiful swords and ornate helmets. Not to be missed! Entry by donation. A wonderful art exhibition featuring work by both members and non-members. A variety of styles and subjects by professional and semi-professional artists. Refreshments available, entry is free and parking is nearby. Hedley Robinson and his 79-year-old wife were assaulted on Sunday 24 March. A 25-year-old man "suffered knife wounds" and was pronounced dead at the scene, police say. Lesley Cairns Murray's World War Two logbook was discovered among papers in a loft. The government-funded scheme will build a simulator where driverless cars are put through their paces. Maja O'Brien has not been seen since she made her way to a concert on 28 March. The Audi convertible flipped onto its roof on a slip road after leaving the M40 in Oxfordshire.